The Vietnam Export Import Commercial Joint Stock Bank (Eximbank) and Saigon Thuong Tin Commercial Joint Stock Bank (Sacombank) have unveiled merger plans at a signing ceremony for cooperative agreement in Hanoi yesterday. The agreement specifies that the two banks will submit a plan of merger to State agencies and to the general assembly of shareholders in the next three to five years. Eximbank is Sacombank’s largest shareholder. The merger will help both banks overcome their respective difficulties, improve their competitive capacity, and contribute to the sustainable development of the Vietnamese banking system and economy. Under the agreement, both banks will support each other in optimizing capital resources and liquidity. They will also work together to meet customer demand in foreign currency and gold trading while complying with regulations of the State Bank of Vietnam (SBV). Eximbank currently has a charter capital of VND12.3 trillion. 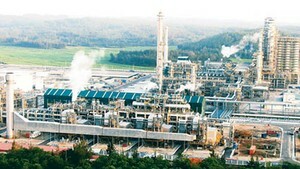 By the end of the third quarter of 2012, the bank’s total assets were valued at more than VND160 trillion. Sacombank’s charter capital is VND10.7 trillion and its total assets exceed VND147 trillion.